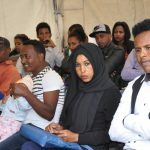 Congratulations to All Refugees in Ethiopia! 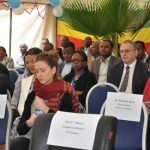 To All Refugees & Asylum Seeks: The Refugee Vital Events Registration (Birth, Marriage, Divorce and Death Certificates) will be Launched in Ethiopia: in Addis Ababa and all refugee camps on October 27, 2017 at 9:30 am. For further information please look at: www.arra.et and FDRE Proclamation No. 1049/2017. FDRE Proclamation No. 1049/2017.